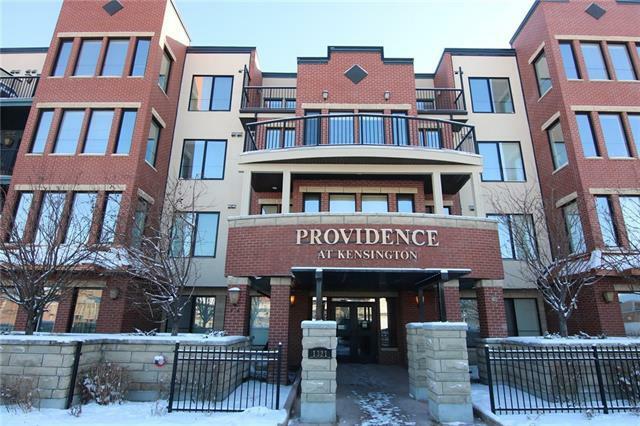 The finest in upscale inner city living in this chic & stylish 2 bedroom / 2 bath condo in the sought-after Providence at Kensington project across from a park & stone's throw to the vibrant & trendy Kensington district. 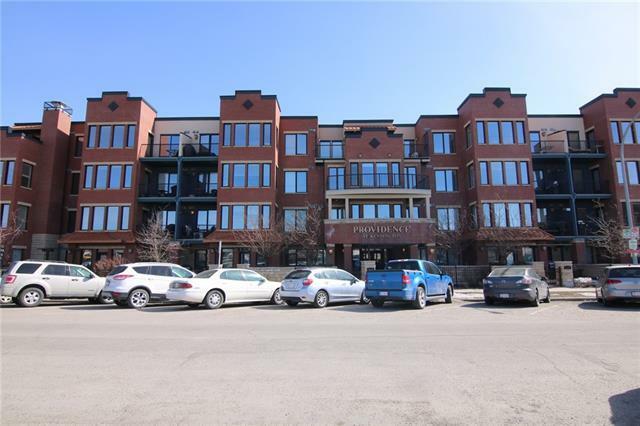 This extensively upgraded main floor unit boasts infloor heating & bamboo flooring, granite counters throughout & wonderful outdoor living space on the South-facing patio. 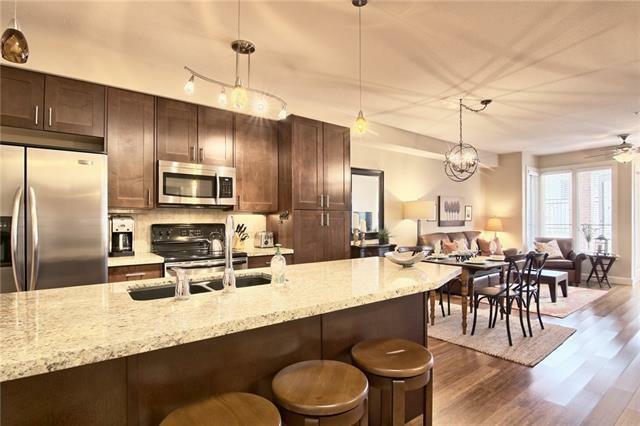 Beautiful airy design complemented by 9ft ceilings, open concept living/dining room & sleek maple kitchen with undercabinet lighting & upgraded stainless steel appliances. 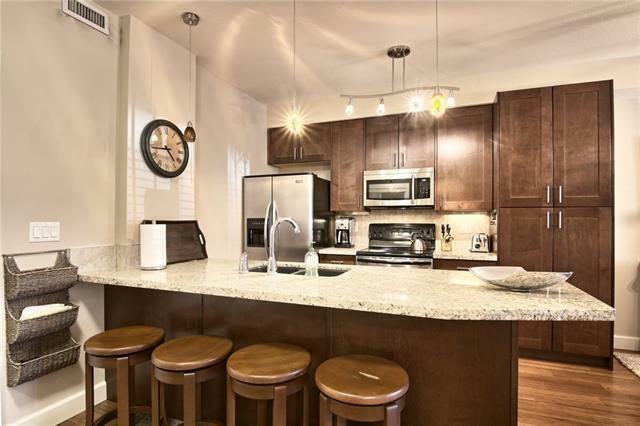 Master bedroom enjoys walk-in closet & ensuite with granite counters & tile floors. A 2nd full bath - with granite-topped vessel sink & oversized shower, is across from the 2nd bedroom which also has a large closet. Spacious sunroom area makes a great home office or lounge, insuite laundry, large separate storage locker & titled parking stall in the heated underground parkade.